Authorities estimate that every year one out of eight households has a cooking fire. However, the National Fire Protection Association reports that Thanksgiving is the peak day for home cooking fires. Many of these fires are caused by cooking equipment, especially turkey fryers. 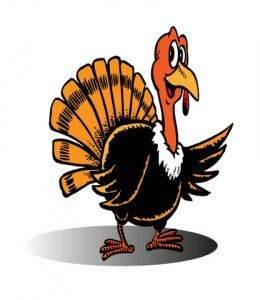 HomeSecurityGuru.com recently collaborated with security experts and organizations to create a comprehensive list of the top Thanksgiving safety tips to follow this holiday season. Fire safety precautions were high on the list due to the growing popularity of turkey fryers which cause an estimated $15 million in property damage each year according to the National Fire Protection Association (NFPA). Opt for the new type of “oil-less” turkey fryer instead of the traditional fryer. Clean your ovens and cook top range vents to clear them of all grease. If an oven or microwave fire occurs keep the door closed. Turn the power off and wait for the fire to die. Never leave cooking unattended, it’s the #1 contributor to cooking fires according to the NFPA. Never throw water or flour on a grease fire. Never put frozen food in boiling oil, which can cause an explosion of grease. Provide a fire extinguisher in the kitchen and show each tenant how to properly operate it. Maintain the batteries in smoke alarms, and test them during property inspections to ensure they are operable. Make sure fire alarms are located on all levels of a house and outside of bedrooms. Ask the tenant to limit the number of appliances the tenant uses simultaneously. Never use frayed electric cords or allow tenants to run them through a doorway. For more information on protecting your home and family during the Thanksgiving holiday season, crime statistics and more please HomeSecurityGuru.com.